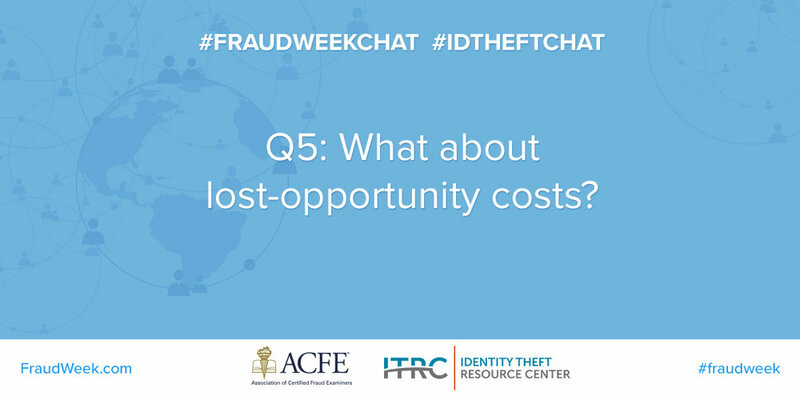 We recently co-hosted #FraudWeekChat (a Twitter chat) with the Identity Theft Resource Center in support of International Fraud Awareness Week. Participants who joined the chat took the opportunity to discuss the impact of fraud and identity theft. So much great advice and wisdom were shared, along with countless resources. Not to mention, everyone brought their best gifs to the party. If you didn’t get a chance to join our Twitter chat this year, here are some of the top insights shared during the chat. See all the responses to Q1 here. See all the responses to Q2 here. See all the responses to Q3 here. See all the responses to Q4 here. See all the responses to Q5 here. See all the responses to Q6 here. See all the responses to Q7 here. 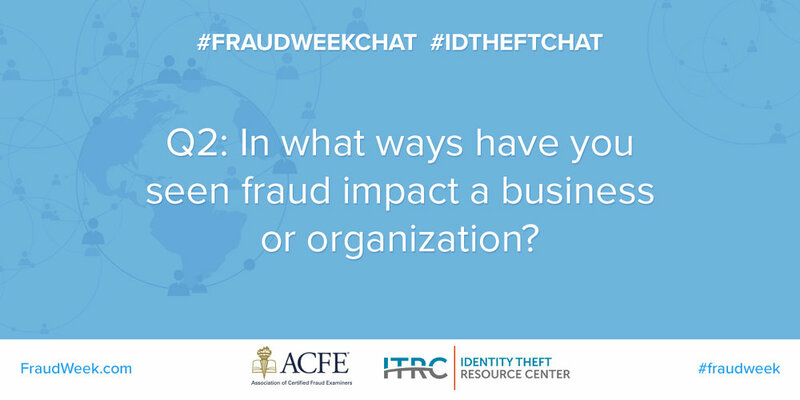 Thank you so much to everyone who participated, liked and shared our #fraudweekchat tweets. There were so many helpful resources and tips shared throughout the chat. Use them to talk to family, friends and the larger community about the impact of fraud, and continue your great work for International Fraud Awareness Week and beyond.